We spend much time in our kitchens. We enjoy it for the most part. 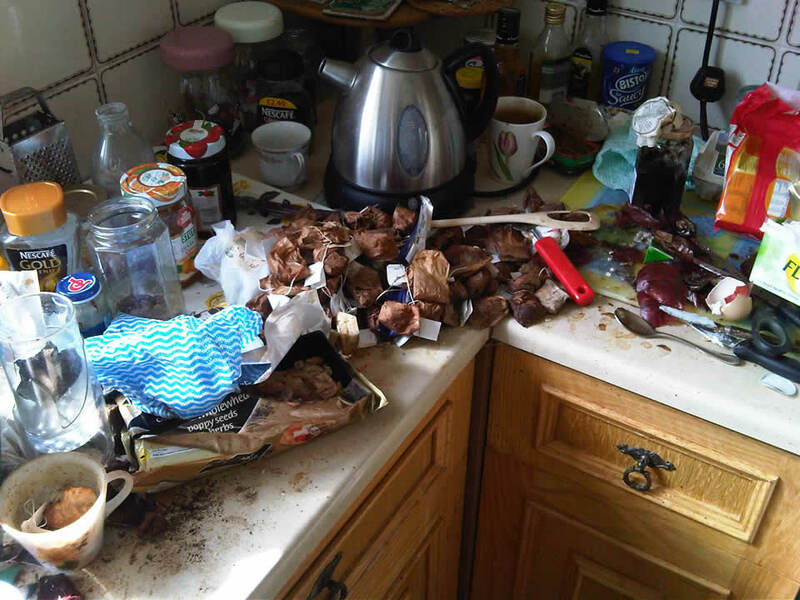 But when it gets to that point of just unkempt – the trash is overflowing, the garbage disposal smells, there’s grease on the oven top, and sticky spots on the floor… quite frankly, it’s gross. You’re smart enough not to allow it to get any worse. Everyone knows (and hopefully understands) the importance of keeping a home clean. If it’s not the science of it all that concerns you, the economics should. You don’t want harmful bacteria growing in your sink and you’d prefer to save money in the long run, not spend it. Ten minutes a day (or one hour a week) can serve to prevent any maintenance mishaps that could be environmentally or financially costly. If you have children, you naturally want to set good examples for them. They will, after all, imitate your behavior. Be mindful of what habits you DON’T want them to have. Drinking straight from the milk carton, leaving dishes anywhere and everywhere, and failure to refill empty ice trays… lead by example! Good practices will become second nature to them, and will be an awesome reflection of your influence. There is a rule you should know, bad food makes food go bad. A rotten tomato is going to have an adverse effect of the more fresh veggies it’s stored with. Luckily it’s easy to be on top of food maintenance. You can save on food costs by disposing of spoiled food immediately. Keep vegetables separated by type (this keeps their natural gas from turning the neighboring foods too quickly). You can prevent the growth of harmful bacteria by keeping your sink, refrigerator, cutting boards and stovetop clean. You will keep your food fresh longer by taking precautionary measures. 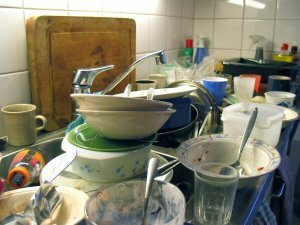 If you’re making dinner and the dishes from breakfast are still in the sink, there’s something wrong. Nobody likes to clean after making a meal and eating it. But it’s better than making a meal with a bunch of crap in your way. Hasty cleaning – the kind where you just can’t wait to get off your feet – is ineffective. Set aside ten minutes a day to do the job right. Remove everything from the counter and go to town. Soon, you’ll find the longer you do this regularly the shorter it will take. So the truth is cleanliness is a safety issue as well. Spills are hazardous, and grease is flammable. Within one room you have water, extreme temperatures, electricity, and sharp objects – some might say it’s a recipe for disaster. 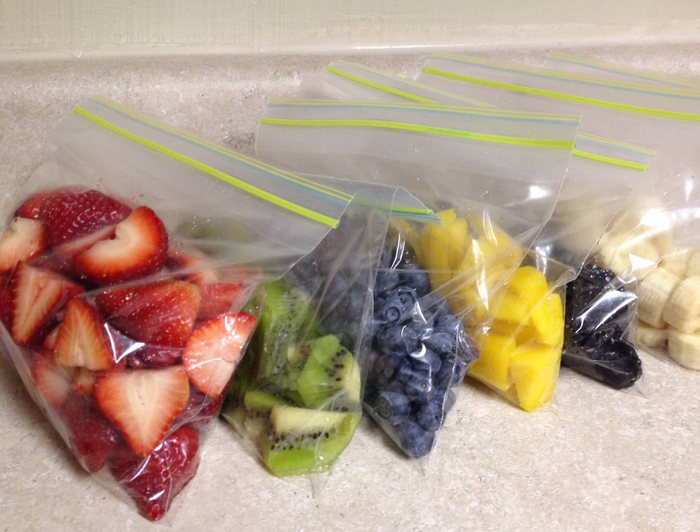 Organization is a must. Sure, no one plans on slipping while they are holding a knife. Most tragedies are not planned. Be safe, clean and organized, preventive measures go a long way. Be mindful of items in your cupboard as well. Keep an eye on things like spices, nuts, baking soda, etc… Watch for insect activity and even infestation. Haven’t used that box of cornflakes in a while? Inspect the contents before you put them in a bowl. Vacuum up any crumbs, flour or dust, and check for spoiling food. Is the bread past its due date? You can prevent bacteria from getting out of hand in the cupboard by simply being attentive. Don’t wait until you have weevils making their home in your packaged foods. Always remember that food is perishable. It’s only natural to reach out for your chemical cleaning agents when things get a bit soiled. They’re great for killing germs, but what about the residue that’s left behind? We, as biological beings, are not necessarily immune to the effects of heavy antibacterial chemicals. They’re great for keeping your home clean, but if you have ever nearly choked from the overwhelming smell of chemical cleaners, you know there is a potential danger. It’s comforting to know you always have the choice to use all-natural cleaners. 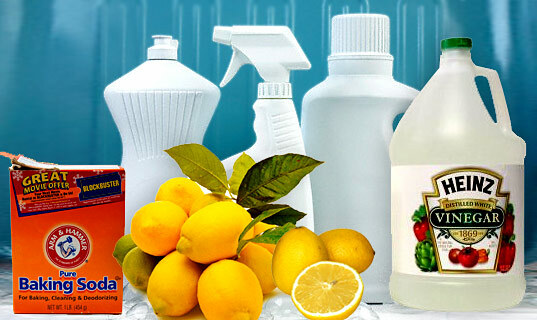 White vinegar, for instance, serves as an effective acid cleaner, while baking soda works well as a mild abrasive. You could always change up your routines simply not use the potent chemicals as much. 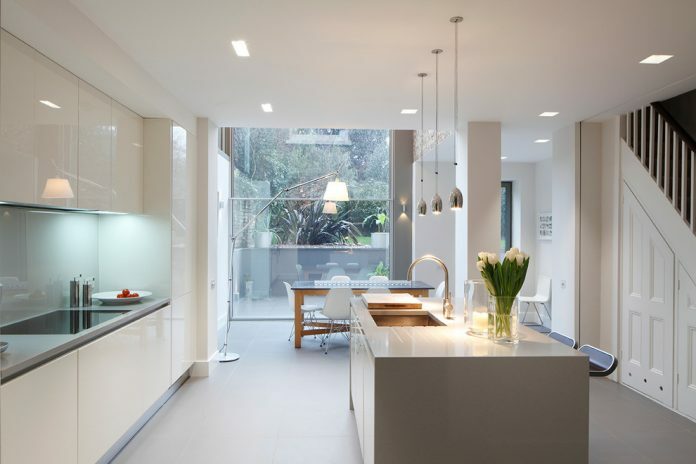 As you may devise, a clean kitchen is only as effective as the actions you employ within it. Poor habits can lead to foodborne illness that is the product of spoilage or cross contamination. You know to wash your hands after handling raw meats and to always keep your prep area clean, but is that enough? With 76 million cases of foodborne illness in the US each year, you may wonder what additional steps you can take to prevent such potential hazards. No one wants to deal with salmonella, E coli, or Listeria. Young people are most susceptible to such illnesses but everyone faces some risk. Prevent the risk of contracting such ailments by washing your hands before and after handling perishable foods, eggs or raw meat. And after you use cutting boards, wash them in hot and soapy water. Keep cleaners separate from food prep areas. Spoiled food needs to be tossed out promptly. Leftovers should not be forgotten, get rid of them after three days. Perishable foods should not be out of the fridge for more than two hours. 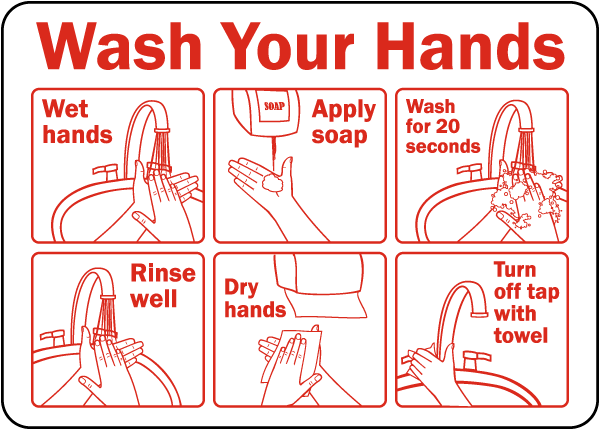 Always wash your hands after touching your eyes and face. And lastly, remember, if it smells ‘funny’ don’t take the risk, throw it away!